This post is a guest post by Frank Lee. So, you’ve got a great blog with a top-notch design brimming with excellent content. You take a peek at your traffic stats and you see that you haven’t gained as many visitors as you would have liked, maybe it even dipped down a bit. While taking the ‘you write it and they will come’ approach looks good on paper, in the real world you have to face the fact that there are hundreds of thousands of blogs out there, all competing to be read. Don’t be discouraged though, I’ve been through that as well but with a bit of Web 2.0 elbow grease and some solid web marketing techniques, you will see your traffic rise up slowly but steadily over time. So get your writing game on and let’s get started! 1. Talk about something spicy. There are a lot of hot news topics you might want to pick up and talk about but focus on the few that are highly relevant to your blog’s topic and you’ll hit gold. Your well-written piece might even get picked up by a popular blog or be featured in your local news site. Of course, you need to keep abreast on the latest comings and goings in your field but I’m sure you already do that, right? 2. Talk about something deep. If you are not one to shy away from getting your hands dirty with a bit of research and some old-fashioned report writing, cooking up an in-depth article on a topic that other people in your niche haven’t touched yet will surely get you noticed. Whether it is a gritty analysis on how the economic slump has affected your industry or a detailed report on how HTML5 and other new technologies can benefit your niche, strong writing will bring in a steady stream of visitors looking for good insight and knowledge in your area of expertise. This, and other posts like it, will be the cornerstones upon which your blog will be built so link to them and promote them well. 3. Do a list post. Yeah, I know you heard it before. But this is a staple of many blogs and is very effective in increasing readership for your blog. As a testament to this fact, some blogs even do nothing else but put up list posts so you know this type of writing really works. Like the previous tip, a well-written list post will also become a cornerstone of your blog. As a reader, I find myself consuming a lot of these types of articles since they are neat, easy to digest but still packed with information. There are several types of lists posts you can do from running down the top blogs in your niche people can read (aside from your own, of course) to writing on the best ways to increase traffic to your site (ahem). Whatever you do, this type of article will bring people to your site for many years to come. 4. Bring in some drama. Not many folks can pull this off but by throwing up some constructive critiques and being confrontational (to a point) is a sure way to bring in traffic. People not only are interested in the drama but your target will also surely notice and send a message of their own, making quite a bit of conversation on the topic and sending a lot of readers to your part of the blogosphere. It has to be done right though so as not to attract the wrong type of attention as well as to stay on the right side of the law and of morality. You need to be tactful and write in a way that challenges readers but doesn’t step on moral boundaries and etiquette. Call attention to a problem in your local community, sound off on how you would change a company’s bad practices or breakdown the issues you have with the stance other bloggers have taken on a popular issue. The bottom line is to show people that you aren’t shy about saying your piece. 5. Tap into other communities. You can also go the other way in building an audience for your blog by participating in active communities dedicated to your craft. Whether it’s a local forum, Google group or an online club, you can attract people by just being a good-hearted member and posting tips, sharing news and helping out newcomers to the group. Soon, people will be looking up to you for advice and referring people to your blog for more knowledge and wisdom. 6. Guest in other blogs. Similar to the tip above, doing guest posts lets you tap into the audience of other blogs. 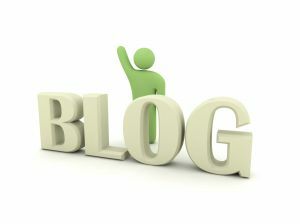 Check out any of the blog sites you read or admire and find out if they are willing to take on guest bloggers. Even better, just send a good, original article to them that will serve as both your resume and your actual guest post. You’ll get significant exposure from the post (or posts) that you do with them and they get free articles, a win for everyone! 7. Spread the word with social bookmarking. An easy way to get more traffic is to get your best blog posts and feed them to social bookmarking sites like Digg, Delicious, StumbleUpon and others. You’ll get a lot of traffic from the wide audience these sites are able to reach. Some of these websites also place quite high on search engine results so you get the added benefit of sitting on the top of the search results heap for the article you sent in. 8. Go Offline. There’s a whole world of people out there who are just nearby but haven’t been reached by your blog’s message. Put a link to your blog on your business card, emails and even on your apparel. Make sure to mention it to friends when chatting or to colleagues during your discussions at the water cooler. You can also join clubs and groups in your area that relate to your particular niche, like a gardening group if you have an organic foodie blog or your local book club if your blog is about reviews of the latest bestsellers. 9. Compete, win and get awards. In Hollywood, awards mean big business and more awards often mean bigger bucks for actors in future work. In the same vein, getting an award for your blog will put you in the spotlight and will draw attention to your work both among peers and among readers. It will lift not only your ego and your confidence but it will also raise your traffic stats with the buzz that it will bring back to your blog. 10. Build your own community. Through the years, you might have built up for yourself a solid readership for your blog and maybe even some avid supporters. Build upon this strength by creating a community for your site. You can put up a forum or Facebook group where your readers can bond, share stories and maybe even suggest stuff that you can write about. By letting your audience know that you listen to them, you’ll get some good word-of-mouth going that will pull in traffic to your blog in no time. There are of course, many more methods to increase your readership beyond what I’ve listed here. But with all the tips and tricks you can do to bring in more people to your blog, the only thing you need to remember is to let yourself stand out as well as to write well and write often. When you see more and more people come to see your blog, the next best thing to do is to build your own list. You may have heard it again and again “The money is in the list.” and the relationship with that list. A list is your lifetime asset you can use to monetize over and over again in your internet marketing business. Don’t leave the money on the table. If you want to grow your list and make money from it quickly, check out this unique list building method. Frank Lee is the founder of Breakthrough Internet Marketing.com who helps people like you work smarter, earn faster, and live better using unique Internet Marketing Systems. Just came across this blog and must commend you on your post. It lays out a neat step by step plan of action – now time to execute. Thanks much.